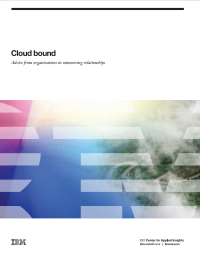 Venturing into cloud for the first time can be a daunting task and this white paper highlights advice from executives who have been through the process. Some of their key takeaways include the need to: do due diligence differently, pay closer attention to security, look for suppliers who can work collaboratively with you, remember to spend time on helping the business adjust, and create an integration plan. The report also offers five key questions organizations thinking of moving to cloud should consider before jumping in.